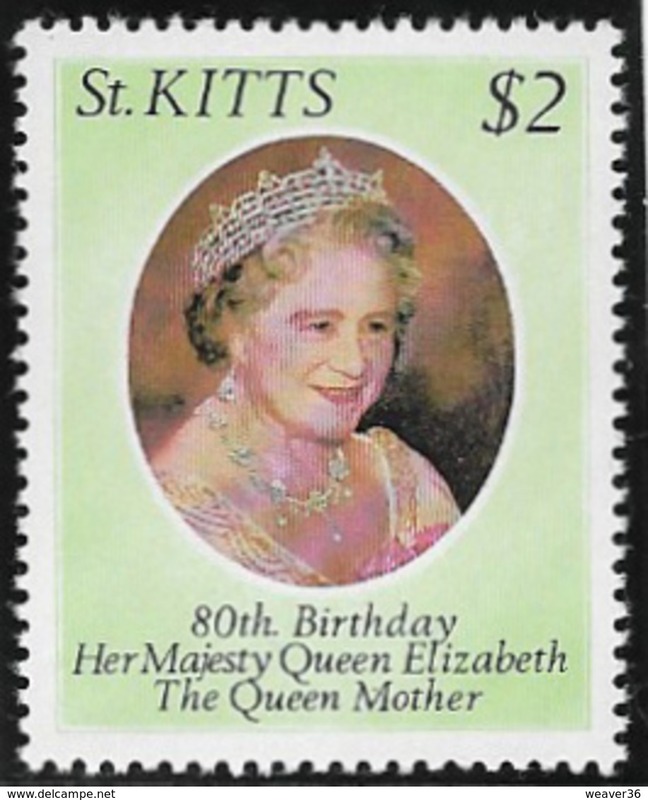 M160- St. Kitts 300th Anniversary of th Placing of Cannon on Brimstone Hill. 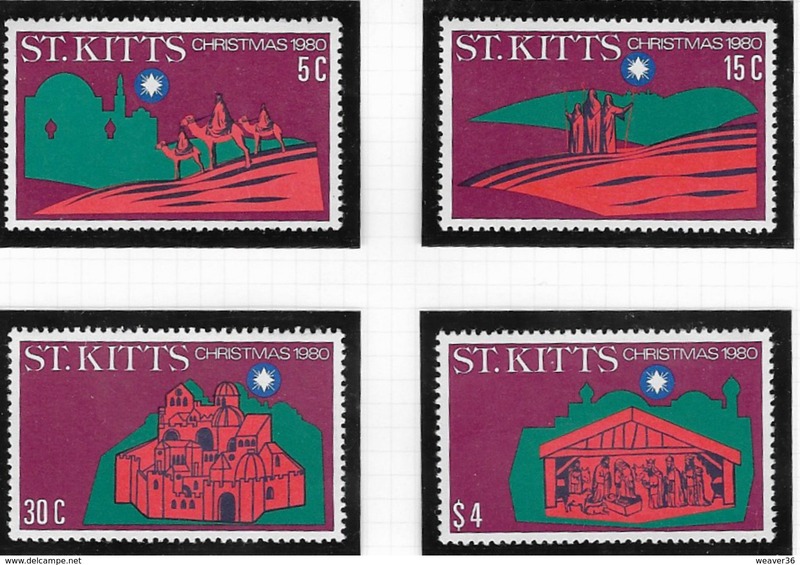 M159- St. Kitts 1991 Christmas Traditional Play the Bull. 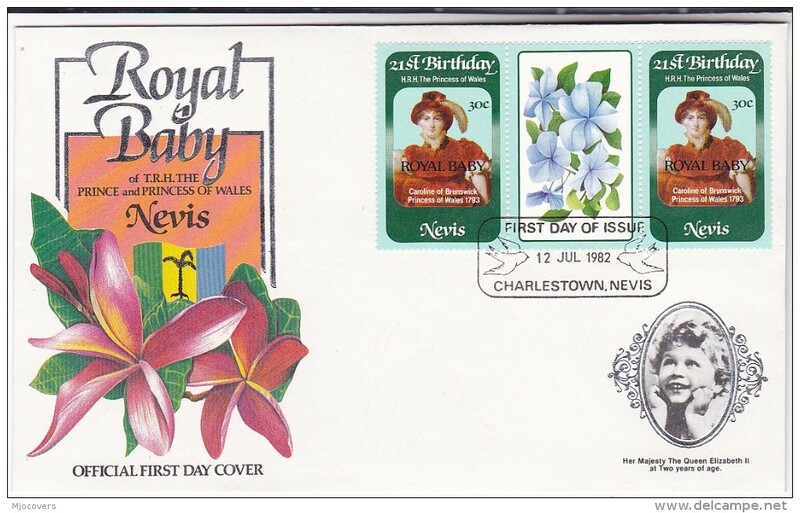 Nevis 1991 Queens Birthday souvenir sheet unmounted mint. 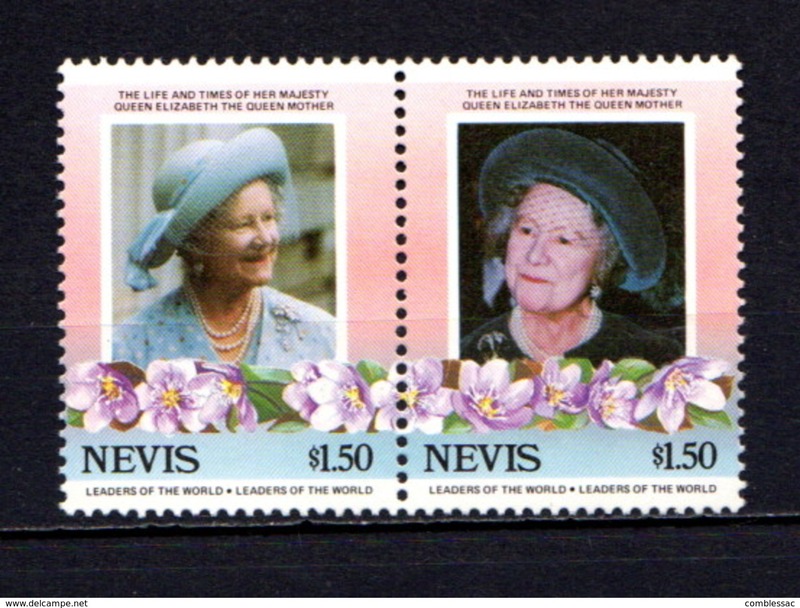 Nevis 1991 Queens Birthday unmounted mint. 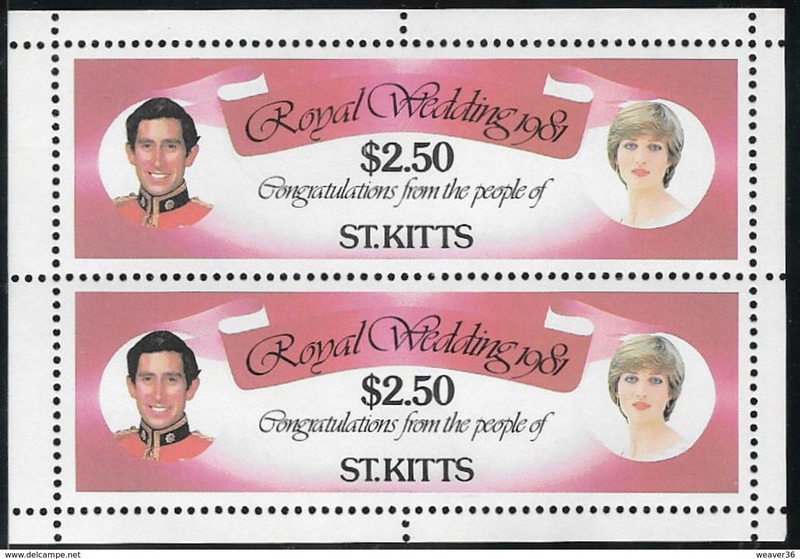 Nevis 1991 Prince and Princess of Wales souvenir sheet unmounted mint. 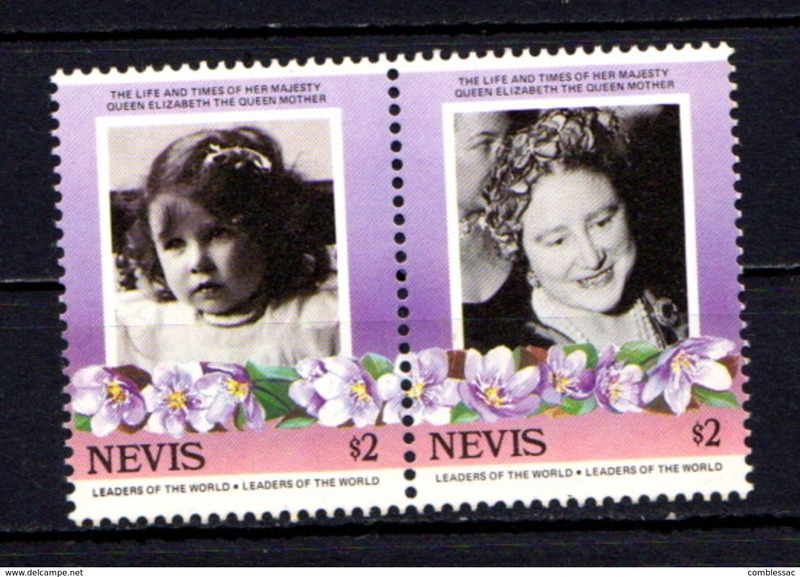 Nevis 1991 Prince and Princess of Wales unmounted mint. 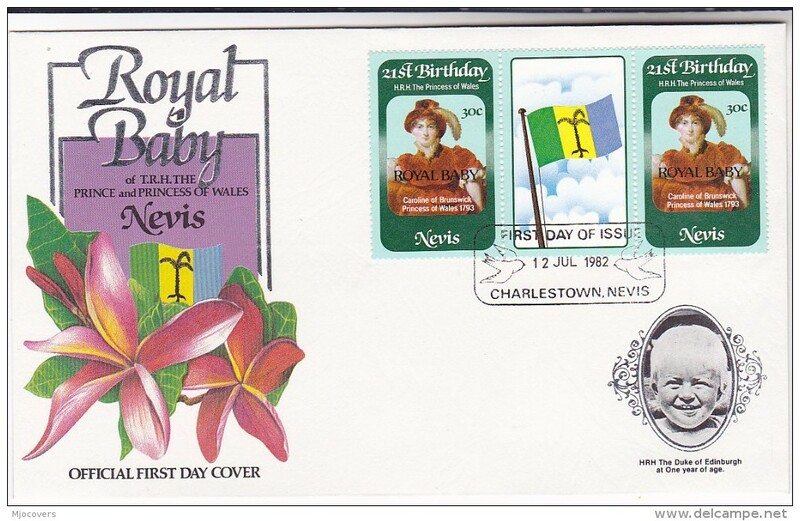 Nevis 1989 Moon Landing souvenir sheet unmounted mint. 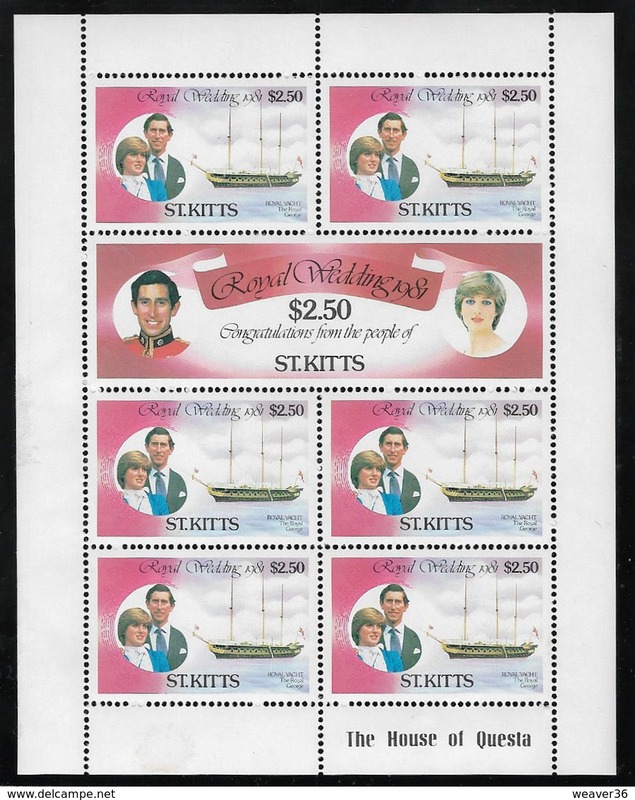 Nevis 1989 Sounds of the Night souvenir sheet unmounted mint. 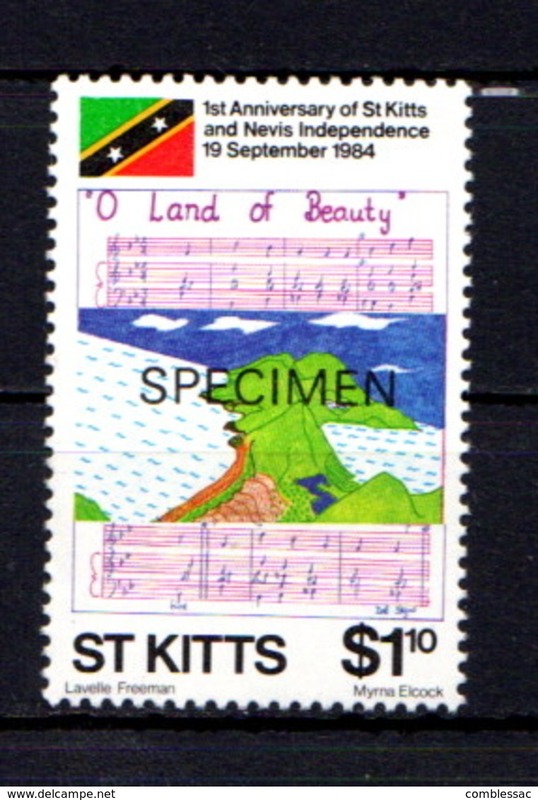 Nevis 1989 Sounds of the Night unmounted mint. 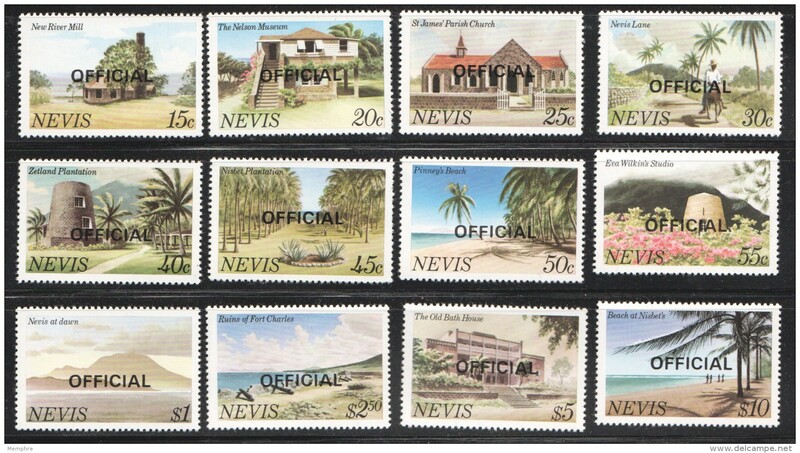 Nevis 1988 Arms unmounted mint. 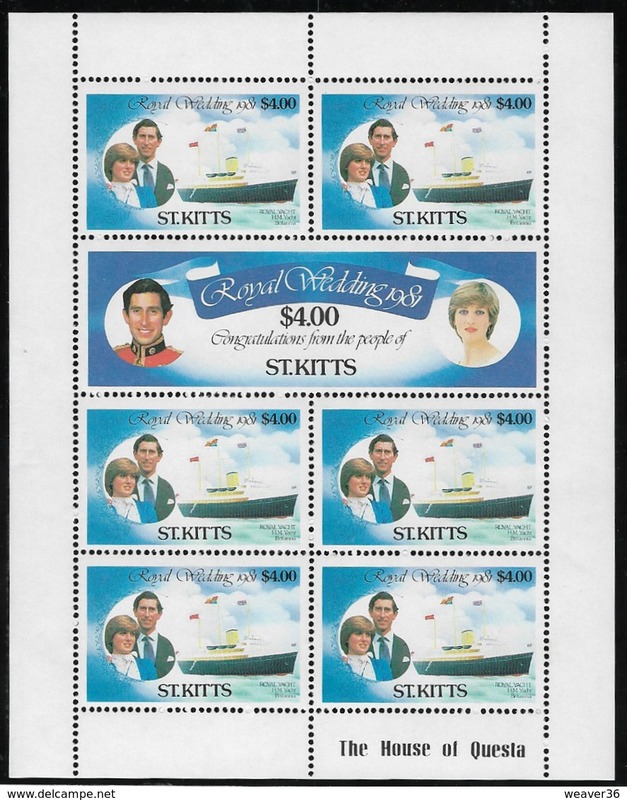 Nevis 1988 Seoul Olympics souvenir sheet unmounted mint. 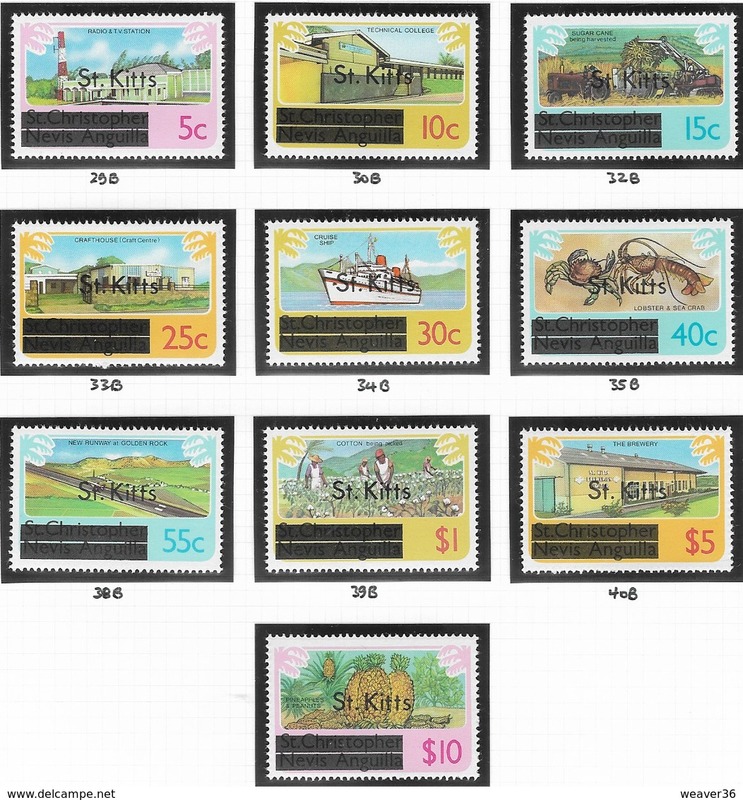 Nevis 1987 Fungi unmounted mint. 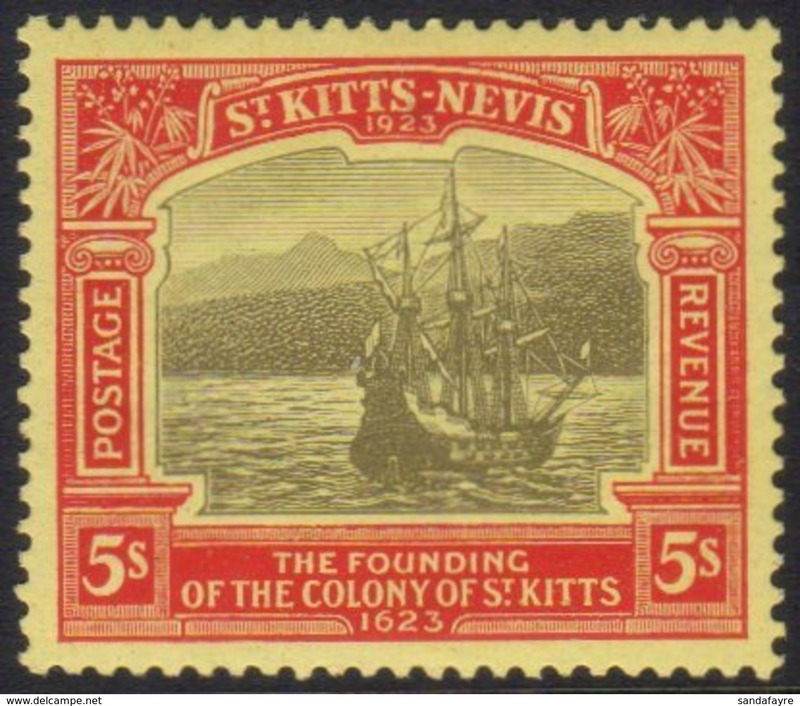 Nevis 1987 Horatio Nelson souvenir sheet unmounted mint. 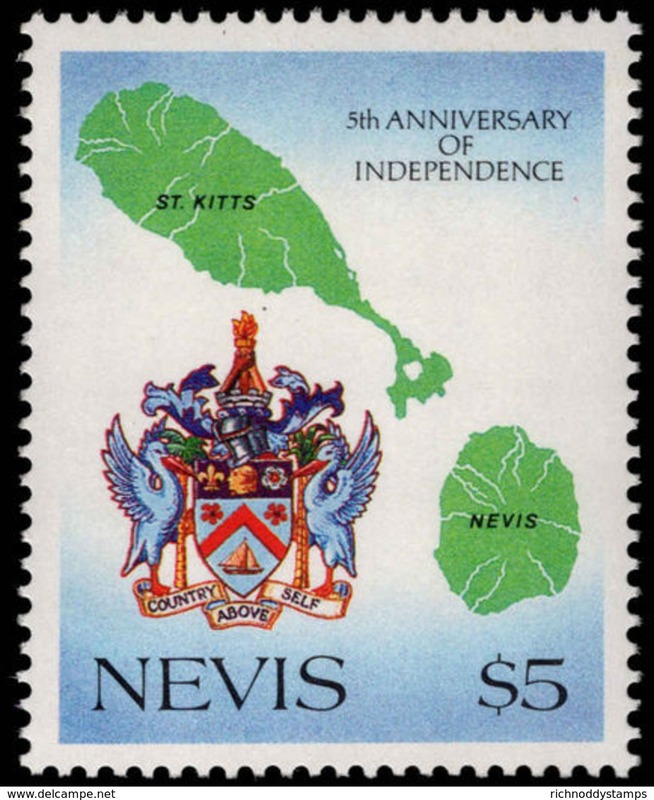 Nevis 1986 Automobiles 6th series unmounted mint. 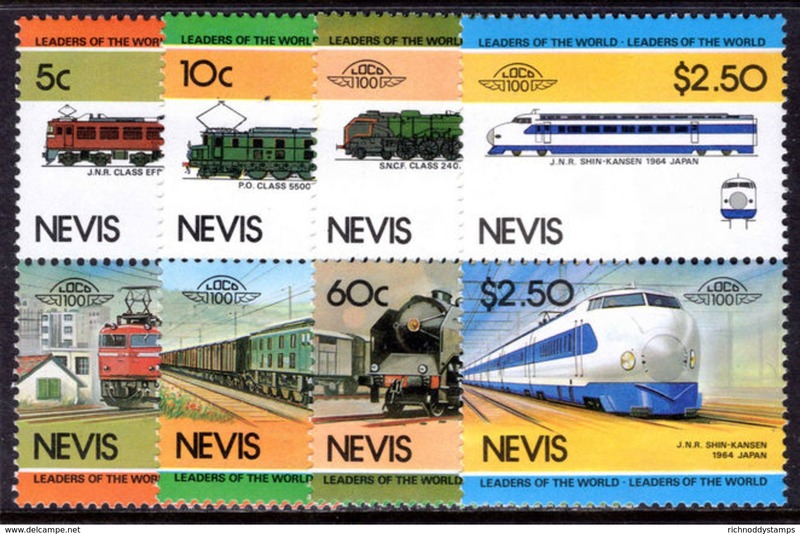 Nevis 1986 World Locomotives (5th series) unmounted mint. 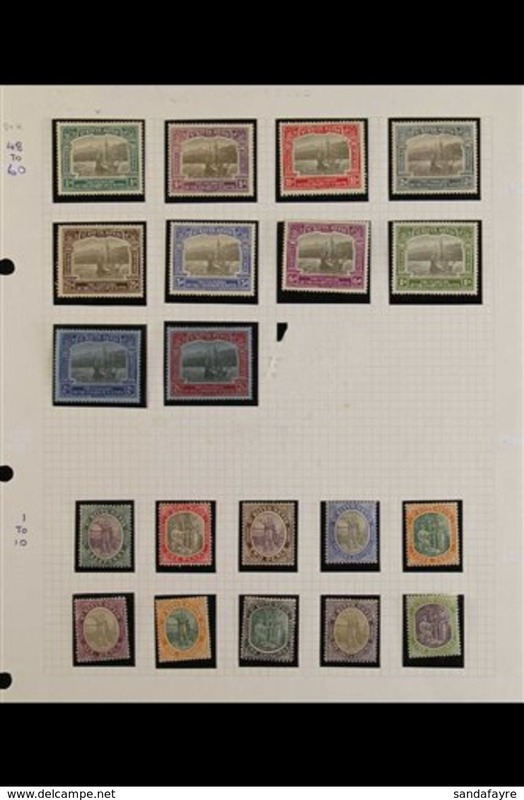 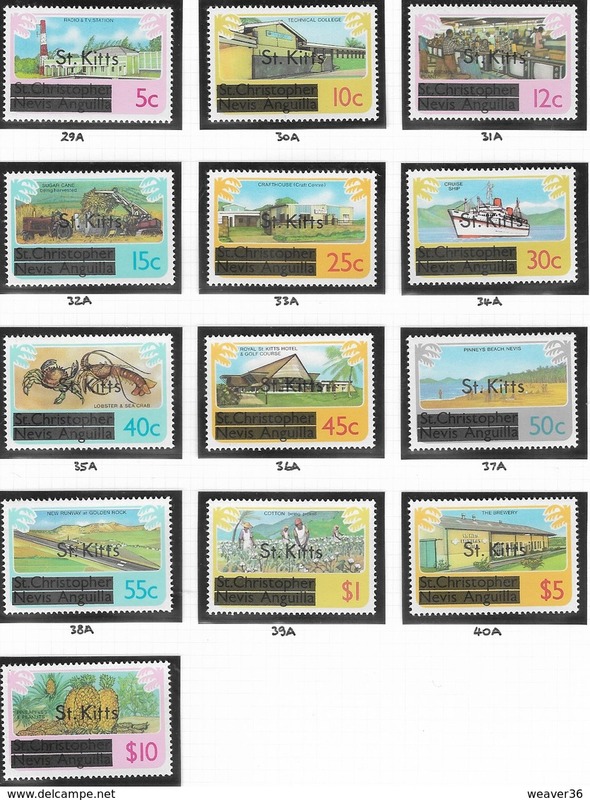 Nevis 1985 World Locomotives (3rd series) unmounted mint. 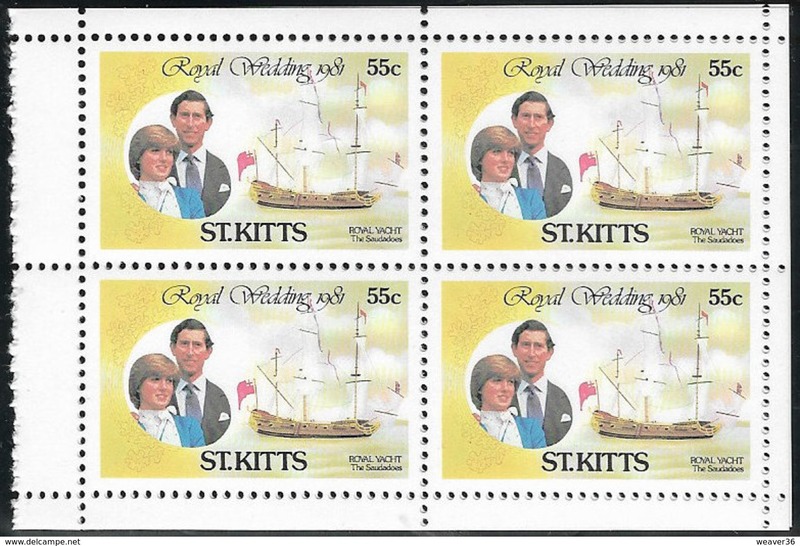 Nevis 1984 World Locomotives (2nd series) unmounted mint. 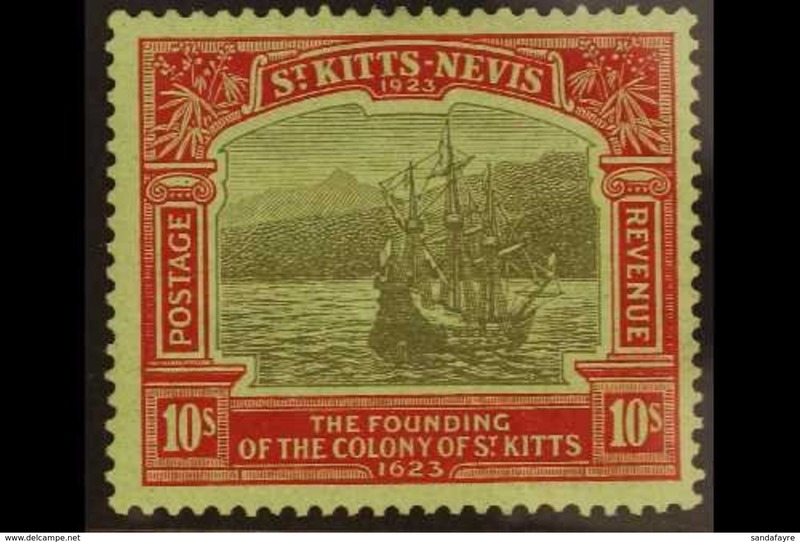 Nevis 1984 $15 Visa fiscal unmounted mint. 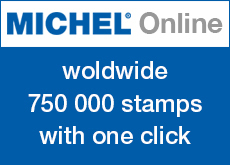 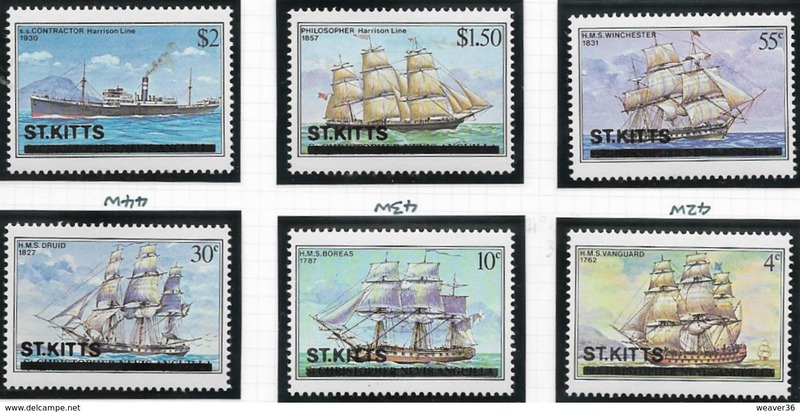 Nevis 1983 World Locomotives unmounted mint. 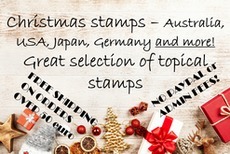 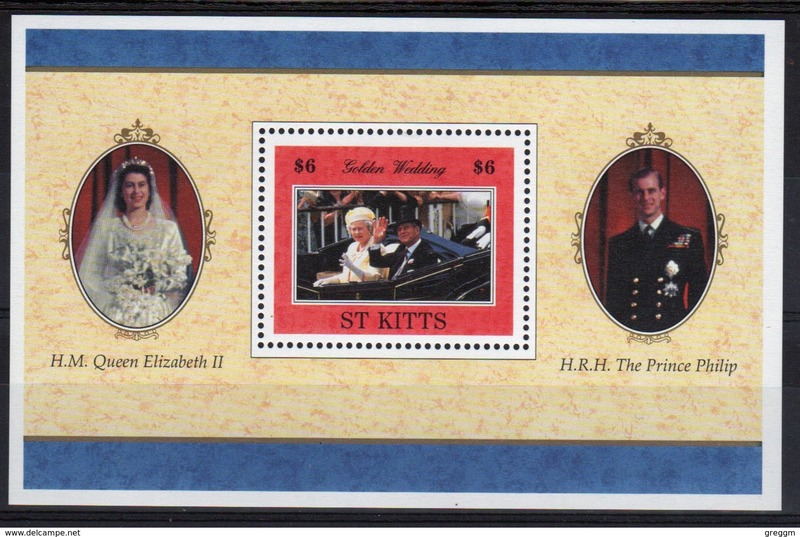 Nevis 1988 Christmas unmounted mint. 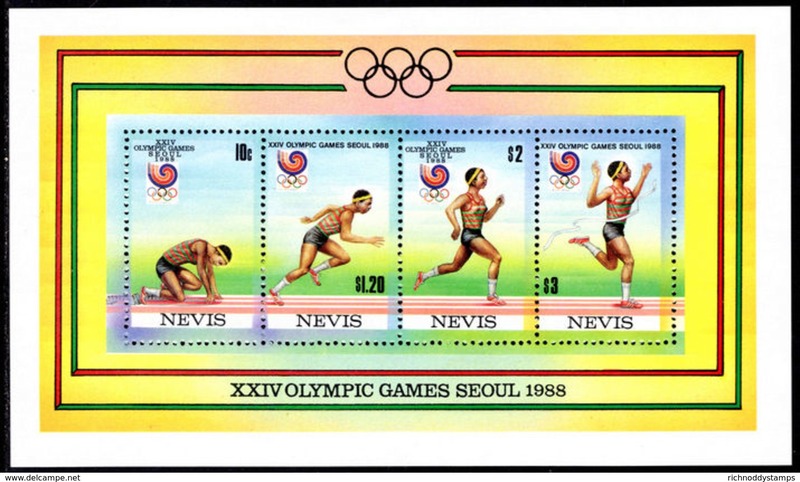 Nevis 1988 Seoul Olympics unmounted mint. 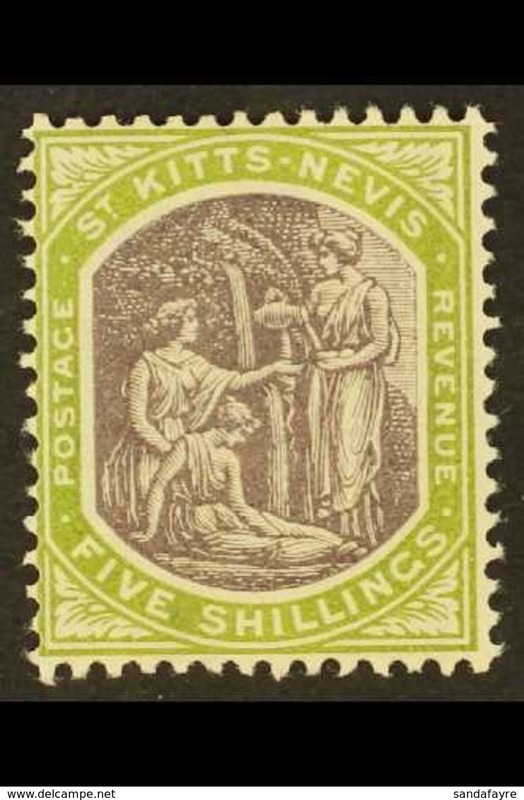 Nevis 1988 Red Cross unmounted mint. 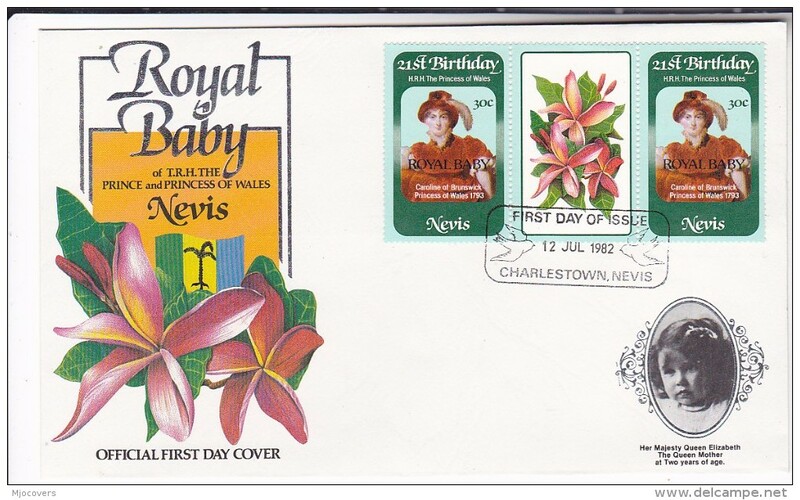 Nevis 1987 Christmas unmounted mint. 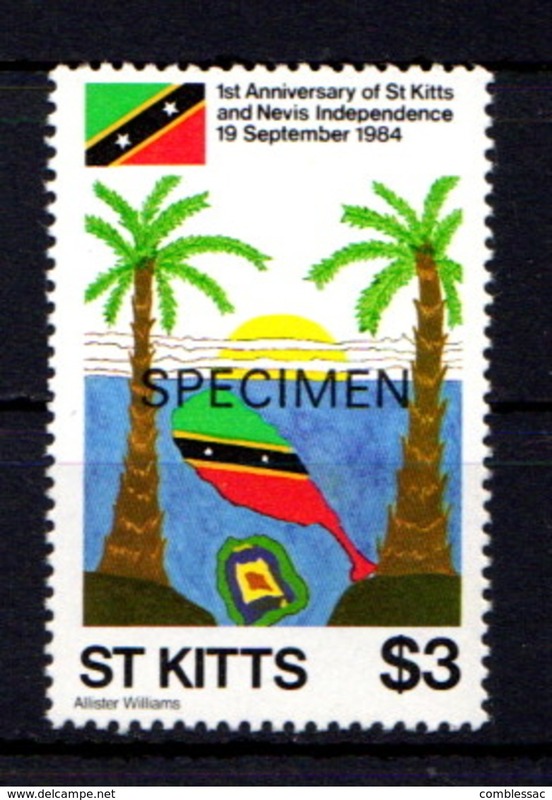 Nevis 1986 World Cup Football unmounted mint. 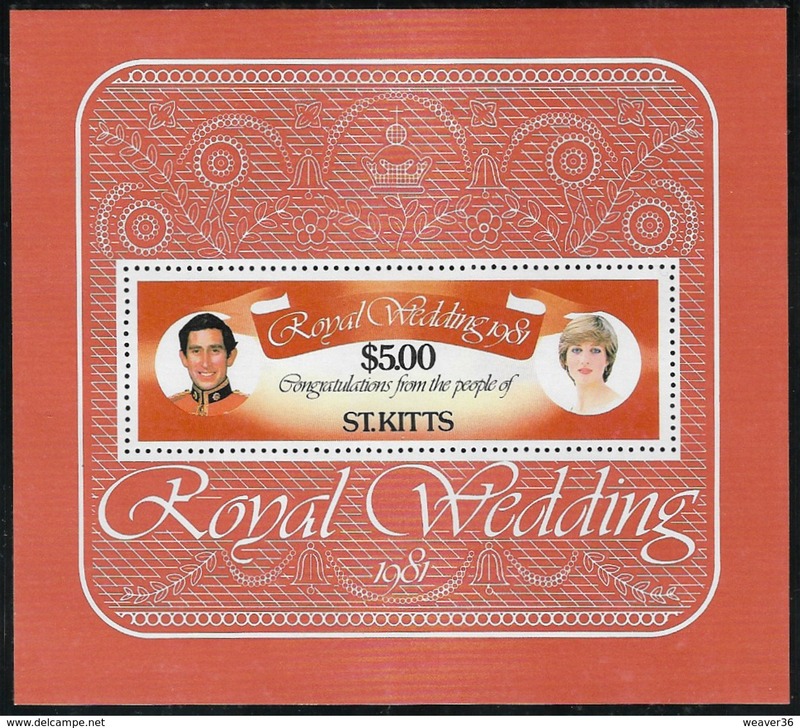 Nevis 1986 Spitfire unmounted mint. 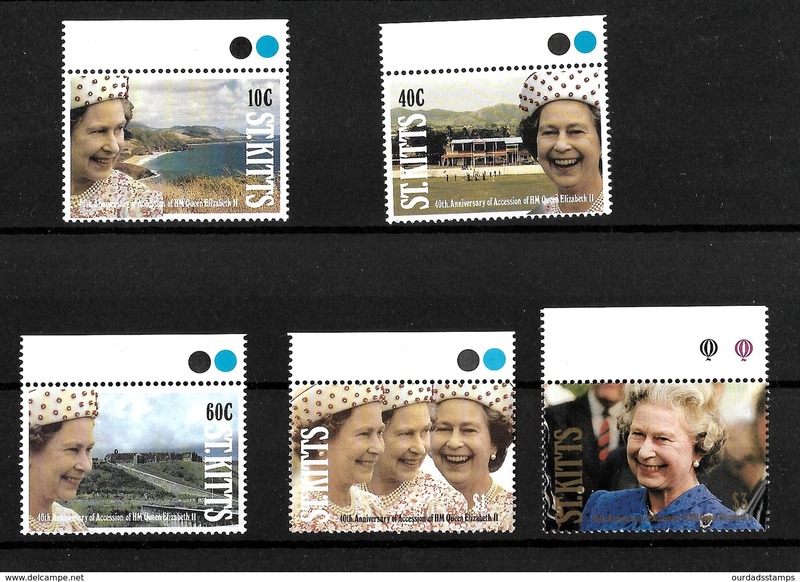 Nevis 1985 Great Western Railways unmounted mint. 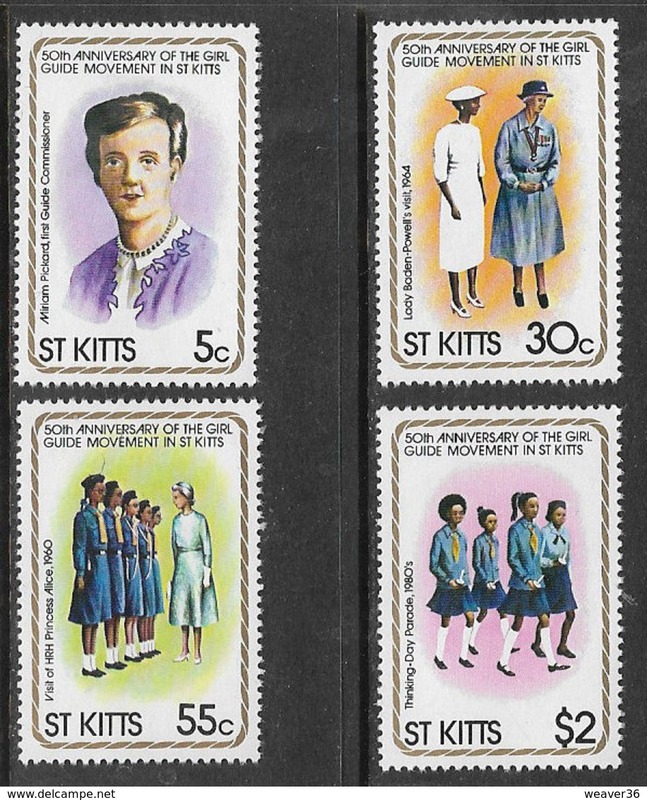 Nevis 1985 Girl Guides unmounted mint. 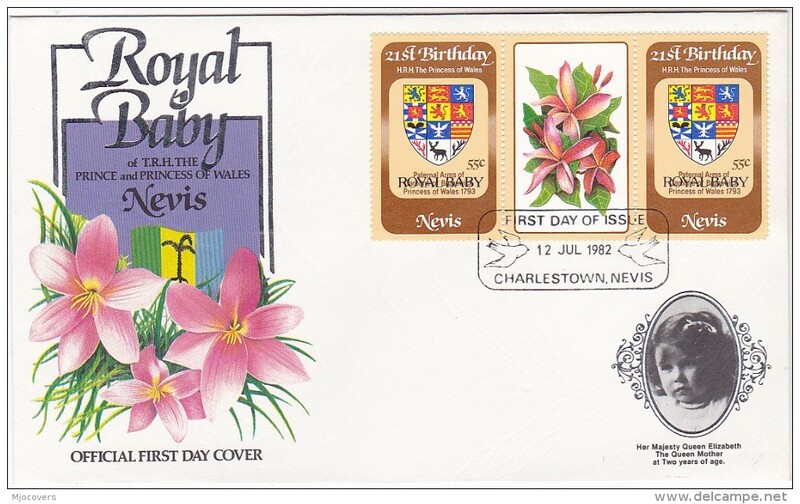 Nevis 1984 Flowers no imprint set unmounted mint. 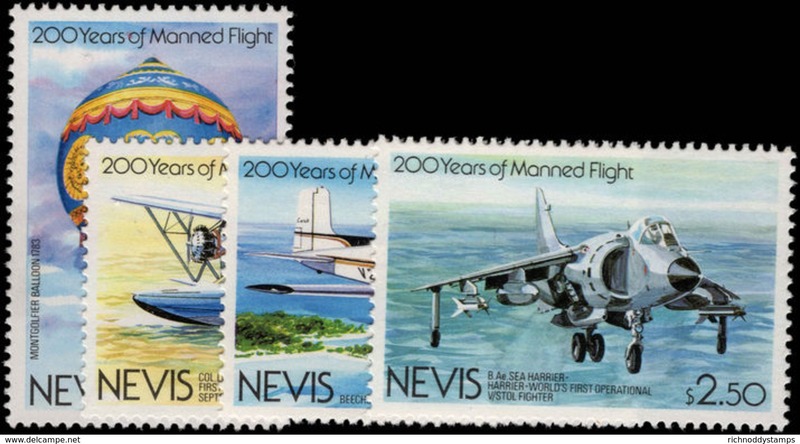 Nevis 1983 Bicentenary of Manned Flight unmounted mint. 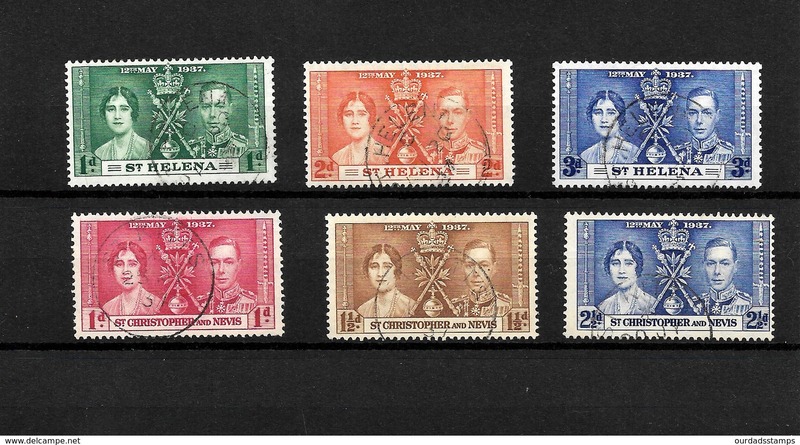 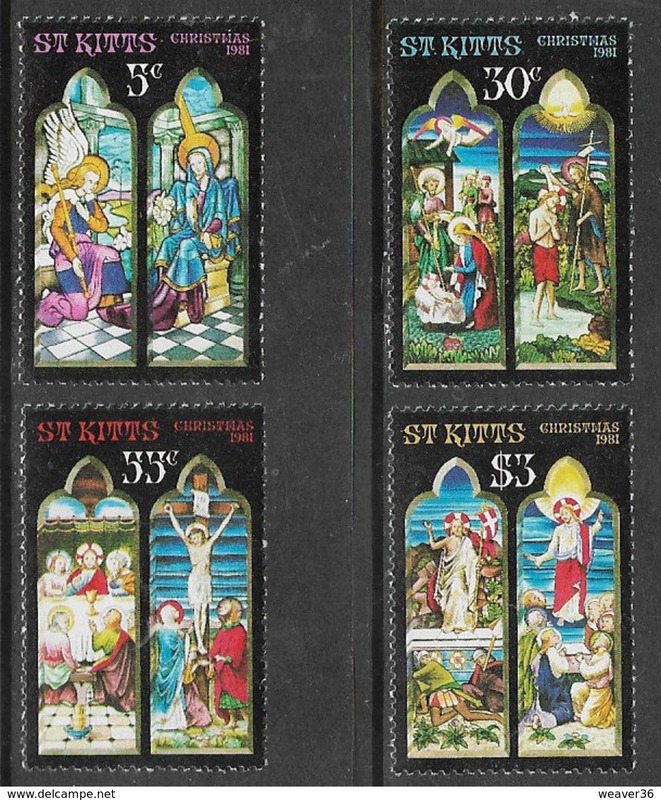 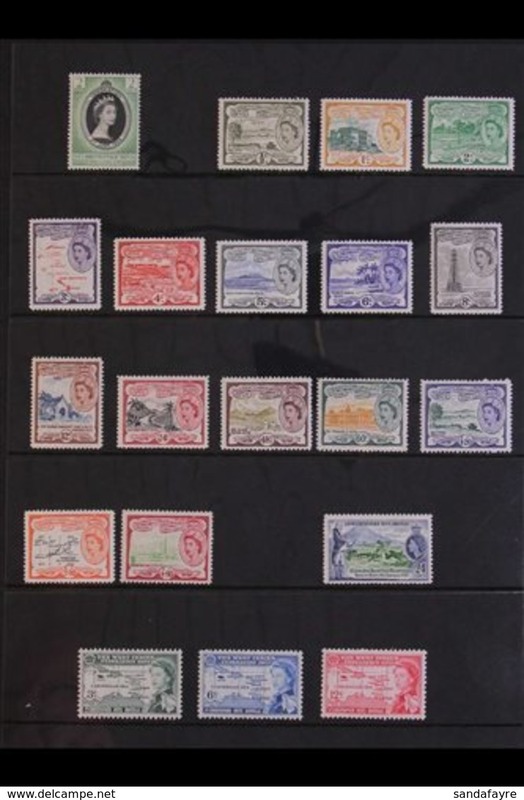 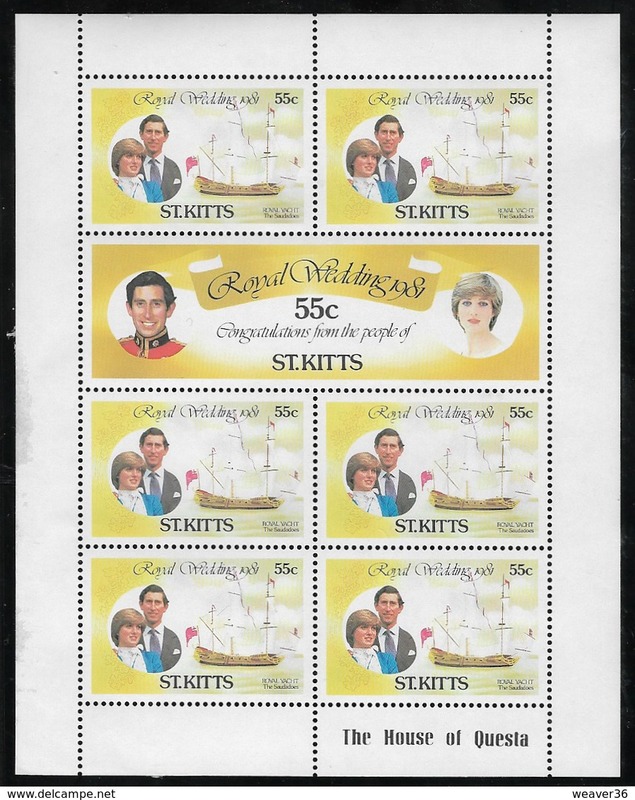 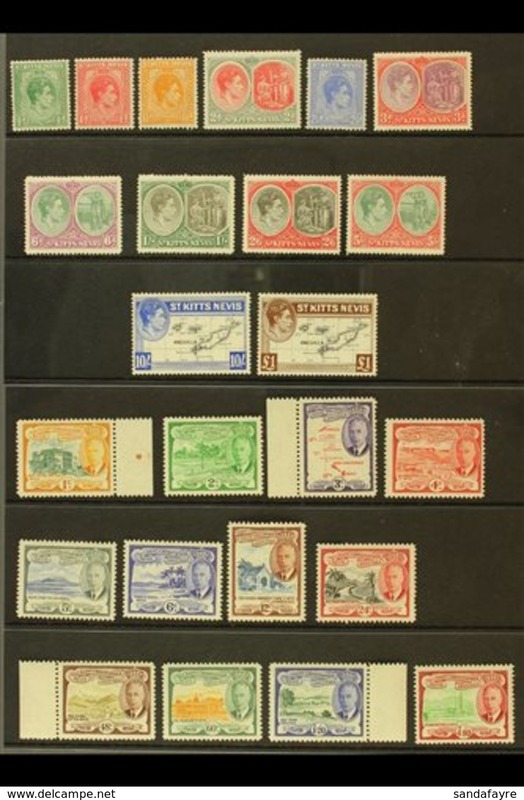 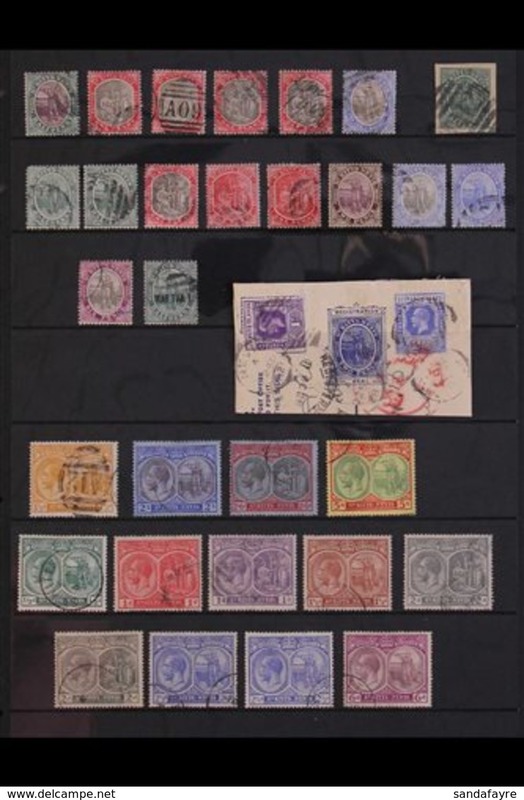 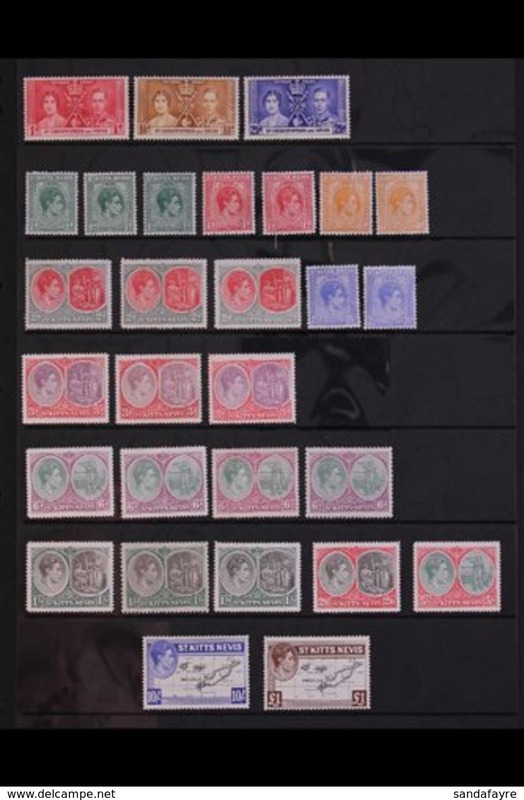 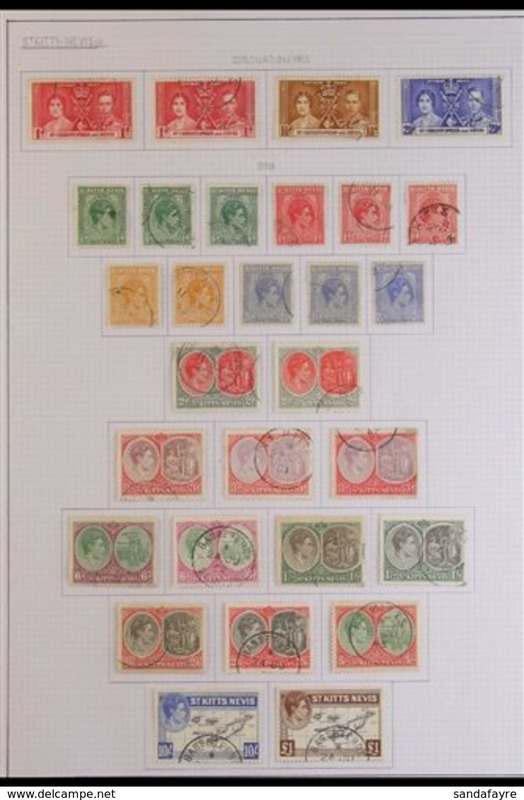 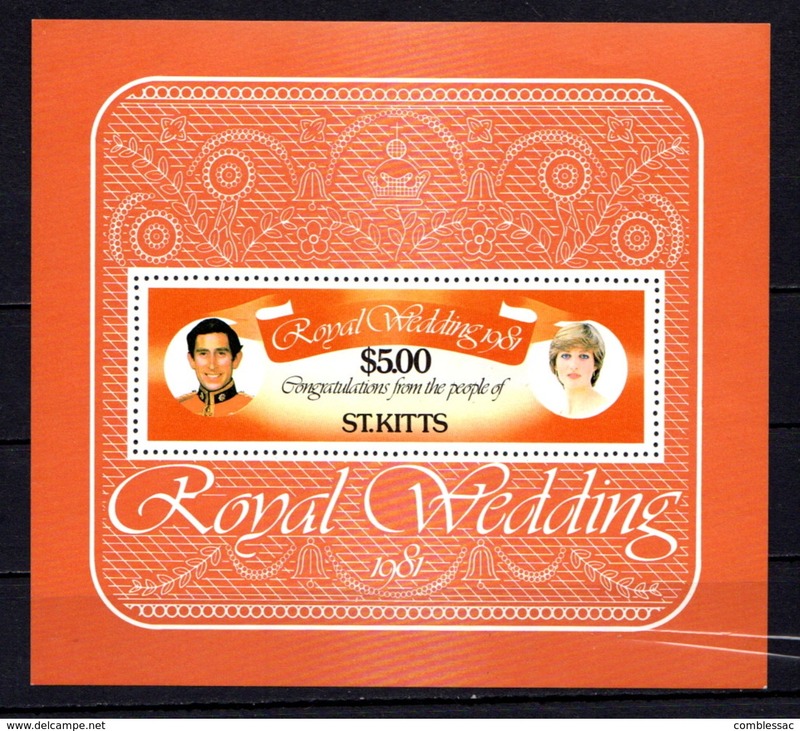 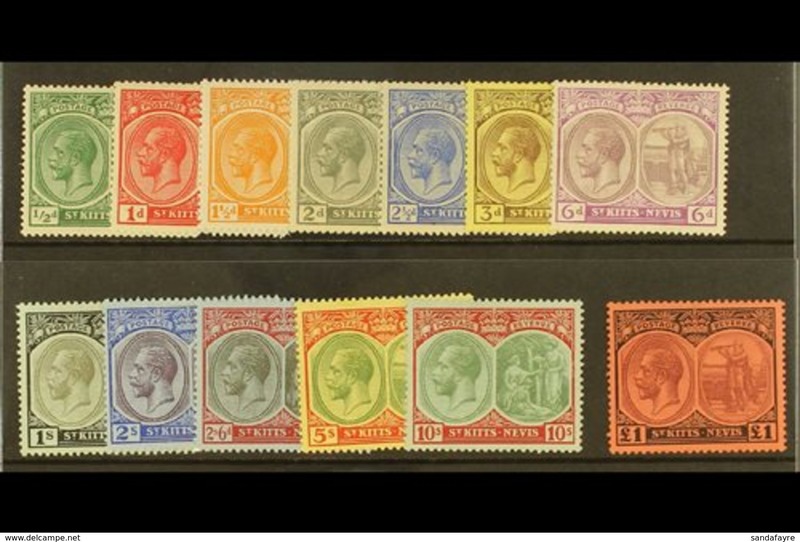 St Kitts 1997 mini sheet to celebrate the Golden Wedding. 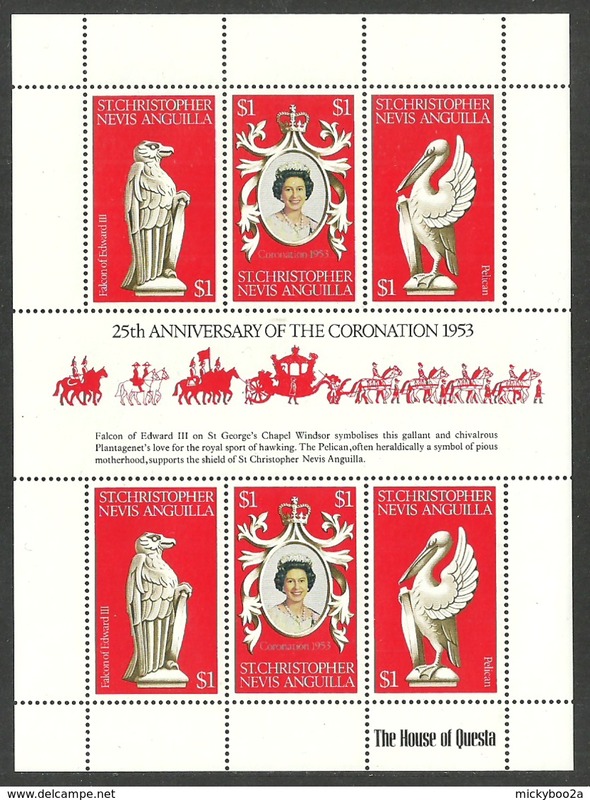 Nevis 1985 Hawks & Herons BIRDS OF PREY 40c (Red Tailed Hawk) imperf gutter pair u/m from uncut proof sheet, as SG 266. 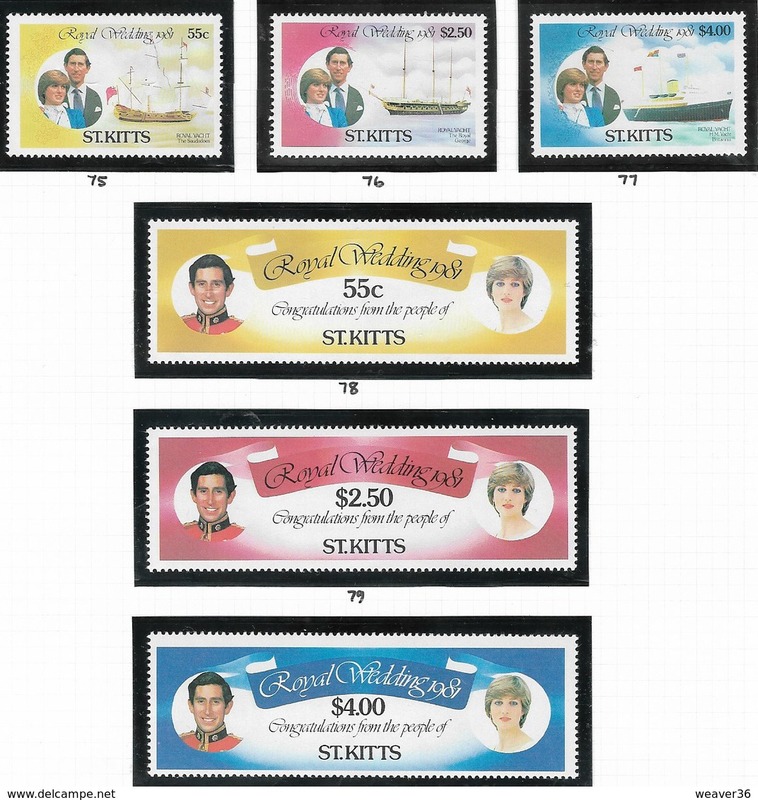 Nevis 1985 Hawks & Herons BIRDS OF PREY $3 (Great Blue Heron) imperf gutter pair u/m from uncut proof sheet, as SG 268.